Indian pharmaceutical industry had come a long way from nearly being non-existent in the 1960s to becoming one of the major suppliers of not just the generic drugs but also some complex formulations for the global market today. India’s pharmacy industry now occupies the 3rd position in terms of volume and the 10th place by value with a turnover of over $23billion. India also ranks among the top 5 fastest growing markets for the pharmaceuticals with an estimated compounded annual growth rate (CAGR) of 21 percent and is projected to be $75 billion market by 2020. This expansion has been a result of variety of factors. A number of Indian pharmacy companies started out in the 1970s when the patent protection issues were quite unfavorable to the MNCs, giving an opportunity to Indian companies to get a foothold and create their niche for Indian as well as global markets. This was primarily led by generating low cost generic drugs by optimizing manufacturing processes and Active Pharmaceutical Ingredients (API) to supply other manufacturers. Today, generic drugs constitute over 70 percent of the Indian markets and the industry supplies more than 500 different APIs formulations to the specialized manufacturers. India now ranks among the most significant suppliers of the generics in the world, with a market share of about 40 percent in the US. India has more than 500 US Food and Drug administration (USFDA) ratified facilities, highest in the world outside the US. India is also the largest supplier of the generic drugs and infant vaccines such as measles and Hepatitis to the developing countries. Other factors that have contributed tremendously to its growth are enhanced medical infrastructure, greater health insurance coverage, better access to healthcare services, more per capita income and rise in prevalence and treatment of chronic diseases. Government has also played a supportive role in this growth, providing tax breaks to pharmacies, limiting the patenting to processes and setting up manufacturing SEZs, focused specifically on the industry. The cabinet has also approved 100 percent FDI through automatic route for manufacturing medical devices. The Make in India campaign further aims to strengthen this sector. However, Inspite of its smooth run and increasingly brighter prospects, the industry faces its own share of challenges and difficulties. Regulatory interventions have been one of the major concerns that continue to plague the industry, increasing the uncertainty, making corporate decisions difficult and holding back investments in Research and development. The government’s decision to include 348 drugs under the Drug pricing control order (DPCO) in 2013 created quite a stir in the industry. This would have virtually brought a major part of industry under the regulatory framework and eliminated the profit margins from a large chunk of medicines. The industry heaved a sigh of relief after the government allowed the companies to make a marginal profit over their manufacturing costs. Apprehensions about deviating from the Good Manufacturing Practices (GMP) are also a cause of worry. 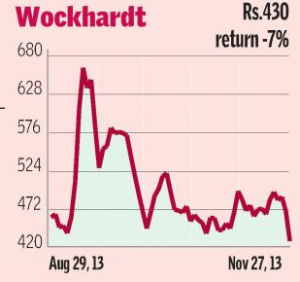 In 2013, USFDA banned two plants of Wockhardt resulting in its profit margin dipping by a humungous 97 percent that quarter and caused a huge fall in its stock prices. The company has recovered since then and has been gaining share in domestic market. However this single incident has brought it on the radar of many international players as being a potential target for acquisition to enter the Indian market, with $7.7 billion Mylan Inc. and $13 billion Actavis group leading from the front. Its $2 billion Indian rival Lupin is also exploring the possibilities of acquisition. Another important concern is the low R&D spending in India. On an average, the companies are increasing their R&D budgets by only 6 percent year-on-year in India. 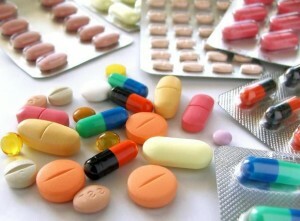 This figure easily exceeds 25 percent for the major pharmaceutical producing countries such as US, Canada and Europe. For instance, the research budget of Pfizer exceeded the combined revenue of the entire Indian pharmaceutical industry. Moreover, the academic community lacks behind in cutting edge research in the medical field, thus leading to an acute shortage of quality and highly skilled manpower, such as molecular scientists required to develop new drugs. Further, intense competition in all categories due to fragmented markets restricts the ability of existing players to innovate and experiment in order to sustain the competitive edge and act as considerable entry barriers for the new firms to enter the segment. Nevertheless, the industry has successfully managed to tackle these challenges to a commendable extent and has found a promising avenue in biotechnology and allied fields. The biotech sector in India is expected to grow from current $6 billion to $70 billion by 2024 and consists of biopharmaceuticals, bio-services, bio-agriculture, bio-industry and bio-informatics. Constant supply of high quality skilled labor and special attention and provisions by the government for the development of this sector augurs well for the industry as a whole. Recent spurt of investments in this sector along with the desire of many countries to collaborate with India in this domain shows the growing importance of this sector. Biotech appears to be the next big thing in India’s pharmacy sector having the potential to complement it with grace. The Indian pharmacy industry is poised for an exponential growth trajectory providing immense opportunities for the corporations while providing better quality of life to the citizens of the world. Adequate supply of skilled labor force coupled with suitable market and social condition should further make it easier for the industry to expand. The government needs to ensure that any regulation does not get into the way of its development. At the same time, corporations would do well to improve their efficiencies and invest in R&D to maintain their competitive advantage.